Exploring Homeschooling of Orange County, California: October 27, 2018: Be Committed and Be Affirmed! "Be Committed and Be Affirmed!" The world is changing. It is no longer the case that parents can expect to send their children off to school and have them come home with your morals or values. 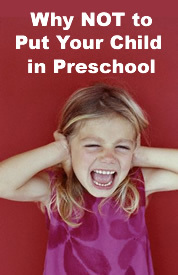 Modern parents worry about ultra aberrant morality, school violence, bullying, and indoctrination in public schools. Many have correctly determined that the schools many parents were raised in no longer exist. If we want our children to love the Lord, honor and respect people, and be prepared for life, the best choice is a home education. With this end-goal in mind, this talk will cover that wide range of options that are available to parents today, while covering techniques to keep the main thing the main thing - walking in faith with Jesus and cultivating a personal relationship with Him. The options are numerous today so how does one choose an approach to home education? There are hidden dangers that should be understood as soon as possible so that you don't make mistakes that cause you to lose your children to the horde of voices that can speak to them without your knowledge through the internet and social media. How to maintain your commitment in your personal conviction to continue with homeschooling when you feel like you are failing (everyone does at some point). Homeschooling is the means through which you can raise the next generation of followers of Jesus - and discover with them their design and gifting leading to their hopes and dreams! Don't miss this month's meeting! Invite a friend to come (with their spouse) - they'll be glad you did! Yvonne Vaughn and her husband, Carl, moved from Long Beach to their current home in Mission Viejo. Yvonne has attended Christ Community Church Laguna Hills since 1998. 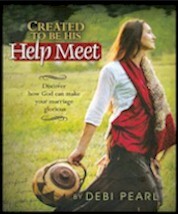 She has been involved in planning Women’s Retreats and Women’s Bible Studies in her home. She has earned an Associate’s degree in Kinesiology, is certified in Athletic Training along with being a certified Yoga instructor. Yvonne has three children, a daughter, De’Lia (35), and two sons, Carl jr (26) and Clark (21). Prior to being introduced to the concept of homeschooling Yvonne enrolled De’Lia in private school. By the time Carl jr was of school age Yvonne had made the decision that she would be the one to teach him. Having a great experience teaching Carl Jr. the decision to homeschool Clark was an easy one. She has participated in homeschool Co-Ops for 23 years, serving as a contracted teacher for several groups. She has a heart for teaching children about God through Science. For information call: (714) 686-3353. This month, to make it easier for families with little ones and big ones to attend, we have childcare available. Rate: $5 per child or $15 per family with three or more kids. Enjoy training, fellowship, and an opportunity to meet veteran homeschoolers and other families considering homeschooling after the informative presentation. Take 5 South, exit Sand Canyon & turn left, church is on right. Take 5 North, exit Sand Canyon & turn right, make immediate U-turn at light, church is on right. Take 405 South, exit Sand Canyon & turn left, go two miles and pass under the 5, church is on right. 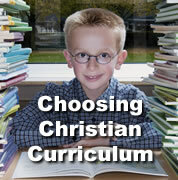 The mission of Exploring Homeschooling is to impact the world for Jesus Christ by encouraging Christians to homeschool from a biblical worldview, especially starting when their children are babies, toddlers, preschoolers; and equipping individuals, families, churches, homeschool groups and other organizations to engage in homeschool evangelism.